Like the culture it represents, hip hop music has gone through many changes in the last two decades. Producers continue to push their craft to new heights, while emcees are as nuanced as they are divisive. The free online mixtape formula has done just as many wonders for the proliferation of swag, as it has made it harder for progressive collectives to sustain as businesses. Simultaneously nostalgic and futuristic, R.A.P. 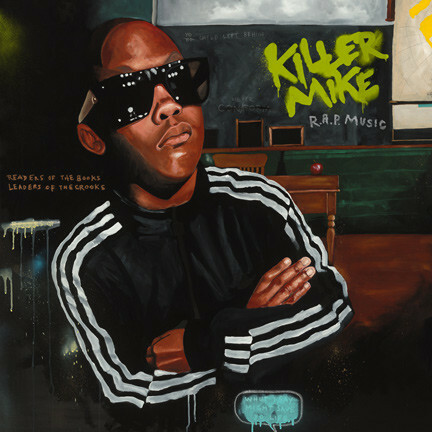 Music—Killer Mike and El-P’s first collaboration album—is a product of two thoughtful artists working to question, define and give love to the world of underground hip hop. Part love letter, part sound progression, R.A.P. Music finds both veterans on top of their game, working off each other as much as the concept itself. Throughout the record, El-P’s production feels like a retrospective of the many eras of hip hop–from the boom bap of the Bronx to the spacey synths of Graduation–with Killer Mike’s thoughtful, and sometimes radical flow. R.A.P. Music is a peak in both artists careers, who are scene and sound leaders in their own right. Which is refreshing, since both artists struggled through the late Aughts and early 10s to keep their relevance.